http://youtu.be/svamYBsjyUo Now you've probably seen this on other sites but we were delaying in posting it up as we've been waiting to find out how it all translates to us in New Zealand. Well the best bit for M1 hub owners (like me) is that Kiwis will indeed be getting free bearing upgrade kits. The catch is it won't be until April, but if you've put up with loosening rear hubs for this long, waiting a month won't be that bad. The kits will be available from your local shop and the blurb below says a confident home mechanic can install the upgrade as well. Beginning in March 2013, every Easton M1-hub equipped rear mountain bike wheel will be shipped with an updated hub. This running change dramatically increases bearing durability and will be found on all EC90 XC, Haven Carbon, EC70 Trail, EA90 XC, Haven, EA90 XD and Havoc wheelsets. Easton is also offering a Bearing Spacer Upgrade Kit to retrofit M1-equipped wheels currently in the field. The update kit contains a bearing spacer, a new set of bearings and a new locknut and will be available free of charge to qualifying Easton wheel owners. 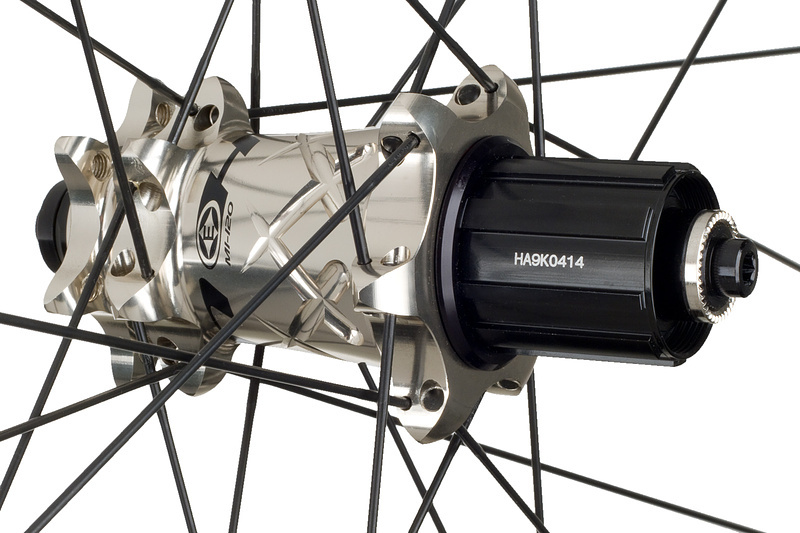 The affected hubs can be identified by the hub model number on the rear hub. Affected hub models end in the number 1; for example, M1-121, M1-221 and M1-321. New wheels that have the upgrade can be identified by a green dot label on the box. Upgraded rear wheels can also be identified by the locknut on the non-drive side of the hub. The new locknut has the word “TIGHTEN” printed on it. FREQUENTLY ASKED QUESTION: M1 Bearing Spacer Upgrade Kit 1. Q: How do I know if my wheel already has the spacer installed? A: If your wheel already has the M1 Bearing Spacer Upgrade Kit installed, the locknut on the non-driveside will say “TIGHTEN” and “10Nm”. Updated wheels are shipped in boxes with a green sticker on the label. 2. Q: How do I know if my wheel is compatible with the M1 Bearing Spacer Upgrade Kit? A: First off, make sure that you have an Easton rear wheel with an M1 hub. These wheels include EA90 XC, EC90 XC, EC70 Trail, Haven, Haven Carbon, Havoc UST and EA90 XD. Next, check the model number printed on the hub shell. Compatible rear hubs have a “1” as the last digit in the model number. Compatible hubs include the following: M1-121, M1-221, M1-321. 4. Q: I have an M1 hub without a spacer installed, do I really need it? A: No. Through our testing—in-house, as well as testing in competition and training with our pro athletes—we have found that adding the M1 Bearing Spacer Upgrade Kit dramatically improves bearing durability. The upgrade also eliminates side-to-side hub movement associated with an unthreading preload adjuster. These improvements make the Bearing Spacer Kit a smart upgrade, but it is not mandatory. 5. Q: Will the Bearing Spacer Upgrade Kit work with my Easton road wheels? A: No. The M1 Bearing Spacer Upgrade Kit was designed to only work with Easton’s M1 mountain bike rear hubs. 6. Q: Will the Bearing Spacer Upgrade Kit work with my Havoc UST 150mm rear wheel? A: No. The M1 Bearing Spacer Upgrade Kit is not compatible with the Havoc UST 150mm rear wheel. The Havoc UST 150 wheel does not have a preload adjuster therefore it does not need the Bearing Spacer Upgrade Kit. 7. Q: Will Easton reimburse my local bike shop for the labor involved with installing the Bearing Spacer Upgrade Kit? A: No. Easton is providing the M1 Bearing Spacer Upgrade Kits at no charge to dealers and qualified users. Easton’s Wheel Service Center will perform the installation free of charge, however shipping costs will be charged to the customer. 8. Q: Does my M1 front hub need a Bearing Spacer Kit too? A: No. M1 front hub bearings are very durable already and do not need any upgrades. 9. Q: Do I need any special tools to install the M1 Bearing Spacer Upgrade Kit? A: No. The only “special” tools required to install the M1 Bearing Spacer Upgrade Kit are a woodruff key and a set of bearing drifts. These tools are provided in the M1 Bearing Spacer Upgrade Kit (part number: 8004015). Other necessary tools are: 20mm cone wrench, 12mm allen wrench, plastic mallet, a punch and a front quick release. 10. Q: My hub feels great. Can I install the M1 Bearing Spacer without replacing the bearings? A: No. All parts of the M1 Bearing Spacer Upgrade Kit must be used together or the system will not work. If you are satisfied with the performance of your M1 rear hub it is not necessary to install the M1 Bearing Spacer Upgrade Kit.